This is the new Dundee FC strip 2016/17, Dundee FC’s new home top for the upcoming Scottish Premier League season. 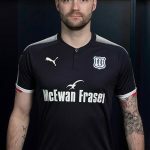 Made by Puma, the new kit was officially unveiled on 10 May, 2016 at Dundee’s famous Verdant Works, the only dedicated jute museum in the UK. The textile industry once formed the cornerstone of the city’s economy. 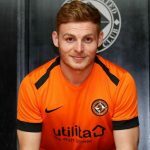 Edinburgh based solicitors McEwan Fraser Legal are the principal shirt sponsors of this new Dundee FC top, and will also be jersey sponsors for Dundee United and Inverness Caledonian Thistle in 2016/17 as part of a unique deal struck last year. This entry was posted in SPFL/Scottish Premiership and tagged Puma on May 10, 2016 by Football Kit News. Same front design as the new Leicester shirt? Same template as the Italy away shirt & Falkirk’s shirt for Euro 2016 expecting to see a lot of clubs get this same template watch this space people. Puma is quickly becoming my least favorite kit manufacturer. Same boring template for all kits. Like this. Pattern on shirt looks great. When is the 2016/17 Rangers FC Home Shirt will be unveiled? I hate ugly sponsor logos. That this is on 3 kits makes it worse. 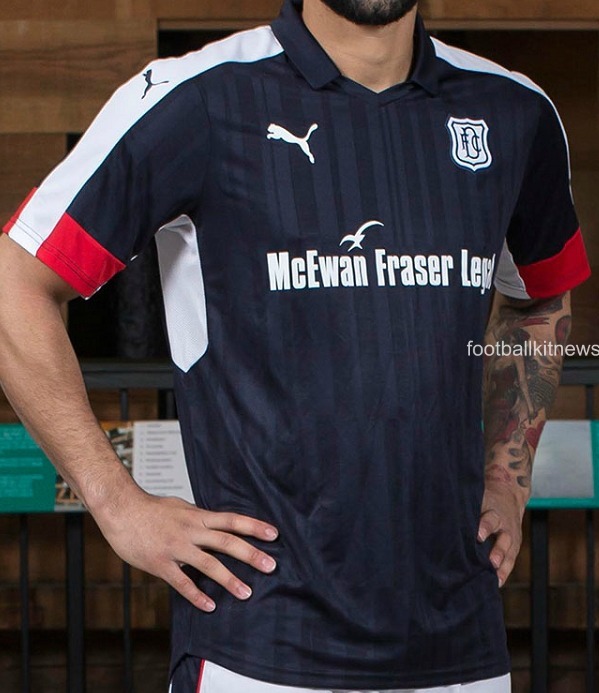 The kit is…okay, but it could be Falkirk, Ross County, Scotland or anyone. Dundee need to get some kind of identity. When Nike do a 3rd kit for all their champions league teams how can you complain? Brands need an identity – they follow that for the season! Stop the whining – could be worse – your club could be in an off the shelf stock kit!! !